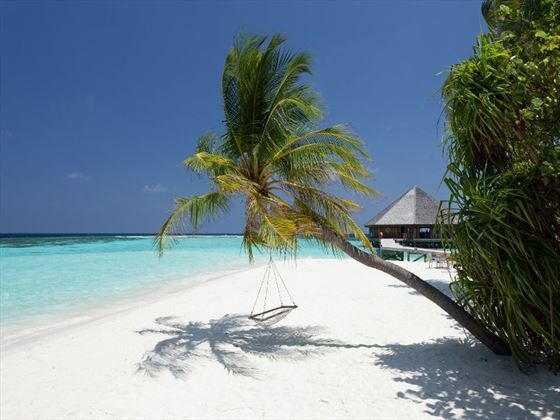 Vilamendhoo Island Resort is a beautiful resort surrounded by a lagoon, an excellent house reef and lovely long stretches of white sandy beaches. 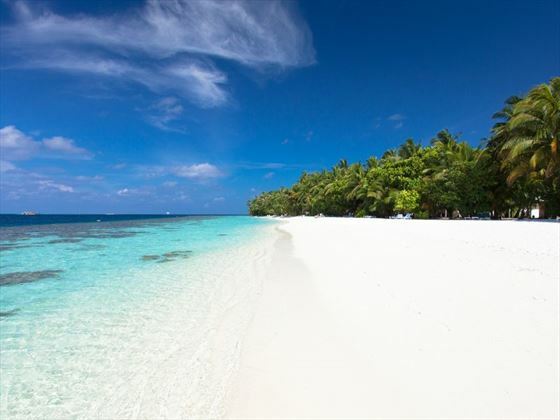 Located on South Ari Atoll, there are fabulous dive sites close by for the keen scuba divers and for the beach lovers this really is a paradise found. 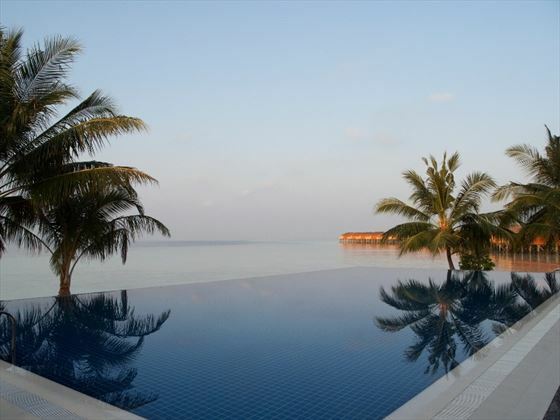 With such a beautiful Maldivian location, it'll come as no surprise that the rooms and villas here adopt a laidback yet luxury island style. Vibrant orange and blue accents create a cool beachside vibe, whilst the views of either the tropical gardens or the sugary sand beach will give you that desirable castaway feeling. Whether you fancy the ease and diversity of a delicious buffet, or a more intimate affair with a succulent a la carte menu, the two restaurants here offer fresh cuisine alongside stellar views and brilliant drink menus. 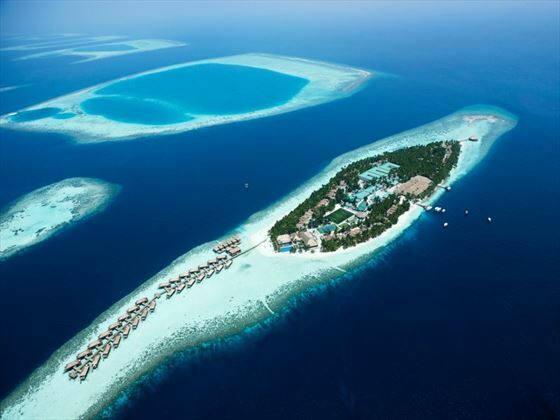 We love the adult-only Sunset Bar, a sophisticated space where you can sip divine cocktails whilst enjoying a sensational Maldivian sunset. 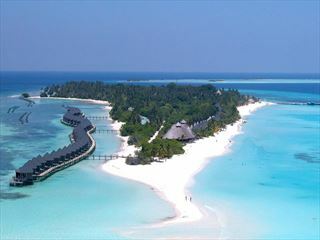 Based on the beautiful island of Vilamendhoo, the resort is found in the south of the Ari Atoll. 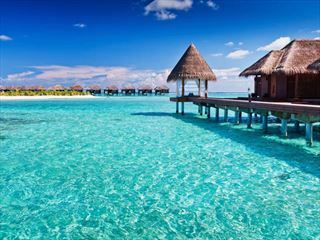 Jacuzzi Water Villas – 85sqm villas over the water in the lagoon, featuring a private furnished sundeck with steps into the sea, a Jacuzzi for two under the stars and incredible views. 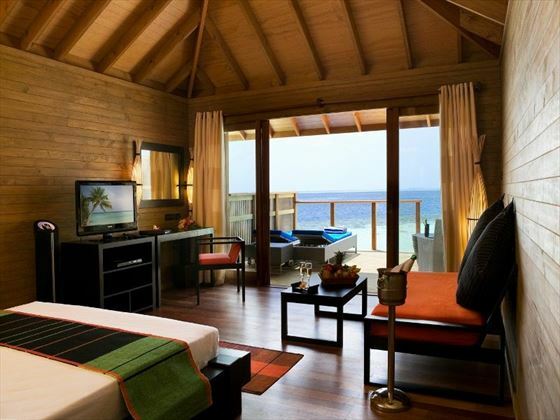 Jacuzzi Beach Villas – 65sqm villas with a wooden, furnished sundeck, a Jacuzzi for two, and gorgeous views of the lagoon. 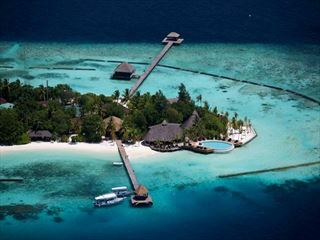 Beach Villas – 55sqm villas filled with tropical plants and a spacious bathroom and sitting area, plus views of the lagoon. 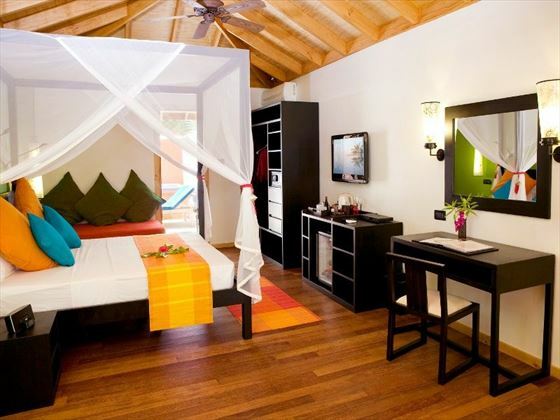 Garden Rooms – 55sqm rooms located in the garden, with the same amenities as the Beach Villas. They are in 3 blocks of 4 or 5 rooms, and have a privacy screen between each room. 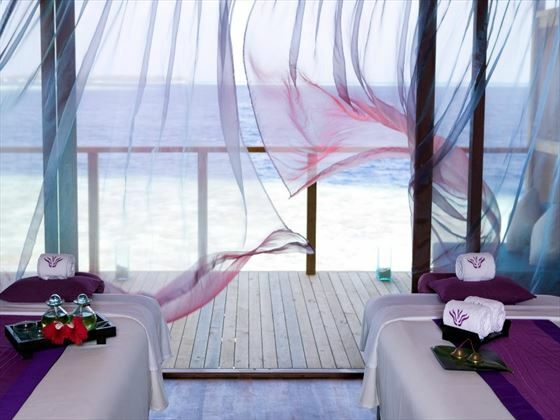 Duniye Spa - A tropical spa experience overlooking the water, with a wide range of rejuvenating treatments that are focused on wholeness and purity. Using a holistic approach, this spa offers authentic Asian massage techniques and cares for each guest's health and well-being. 24 Hour “Afternoon” Tea served in the Bonthi Bar for guests in the Garden Rooms and the Beach Villas; and from 1000 to 0100 in the Sunset Bar for guests in the Jacuzzi Beach Villas and Jacuzzi Water Villas.